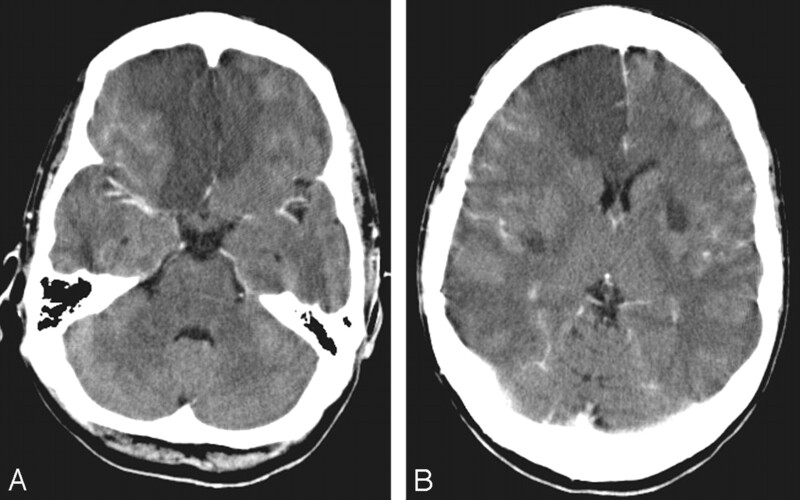 Axial cranial CT scans obtained with intravenous contrast enhancement (A, -B) show multiple areas of abnormal low attenuation, which are most dramatic within both frontal lobes as well as within the bilateral basal ganglia. 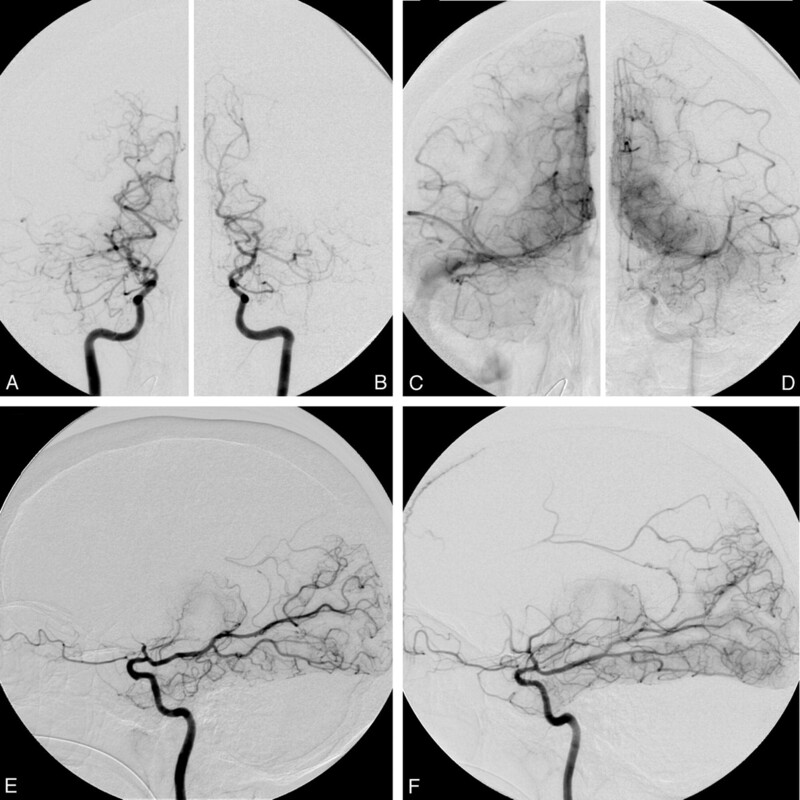 The anteroposterior projections of bilateral internal carotid artery (ICA) angiography in early (A, right; -B, left) and late arterial phases (C, right; -D, left) and lateral projections of bilateral ICA angiography (E, right; -F, left) show nearly complete occlusion of the bilateral supraclinoid ICA as well as bilateral proximal segments of the ACAs and MCAs. Only minimal delay antegrade flows of the bilateral MCAs are noted. Collateral flows are seen from the posterior cerebral artery via the posterior choroidal plexus to the pericallosal artery. Magnified lateral projections of bilateral ICA angiography (A, right; -B, left) show only minimal collateral flows (arrows) from lenticulostriates over the base of brain, which reconstitute into the postocclusive or highly stenotic portions of the MCAs. Note:—ACA indicates anterior cerebral artery; MCA, middle cerebral artery; ICA, internal carotid artery; PCA, posterior cerebral artery.